Bryn Mawr College will soon be home to the The Albert M. Greenfield Digital Center for the History of Women and Higher Education, announced Bryn Mawr President Jane McAuliffe at the “Heritage and Hope” Conference last Friday. 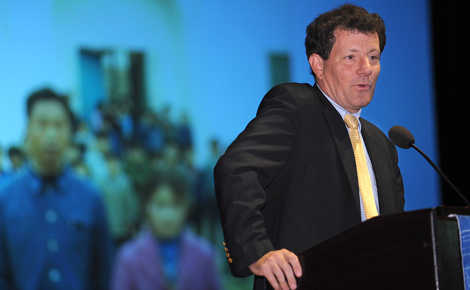 Urging conference participants and students to seek opportunities to advance worldwide gender equality, New York Times columnist and author Nicholas Kristof closed the “Heritage and Hope” conference on an optimistic note. Under the headline “A Woman’s College that Wants to Change the World,” The New York Times‘ Jacques Steinberg has a Q&A with Bryn Mawr President Jane McAuliffe in advance of the “Heritage and Hope” conference.